The Betterform Sportsole is a better orthotic insole for your shoes. The leather top cover is great for hygiene purposes and the Neoprene covered insoles are great if you desire a softer feel. 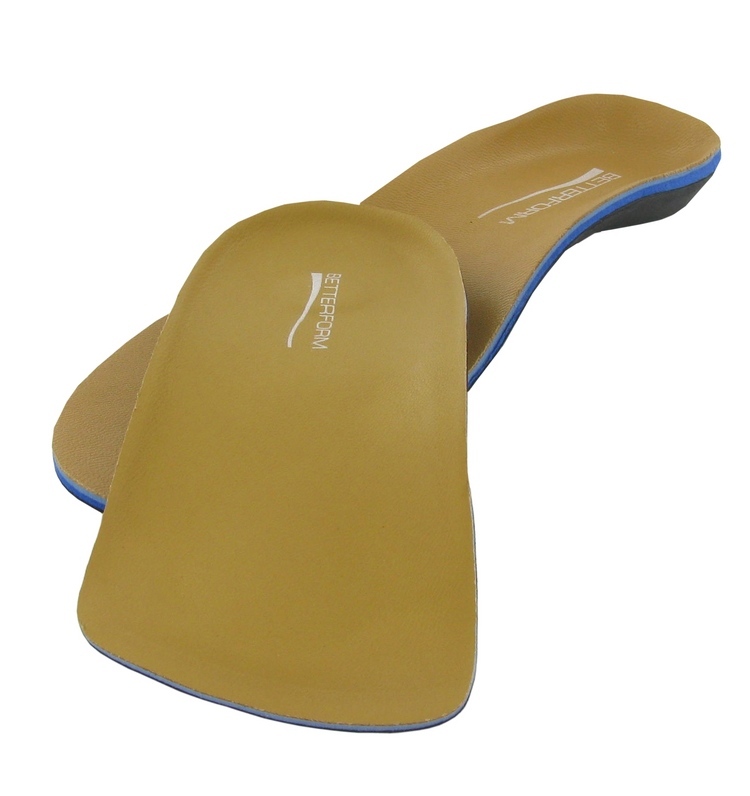 The orthotic is heat adjustable, allowing you to lower or raise the arch. 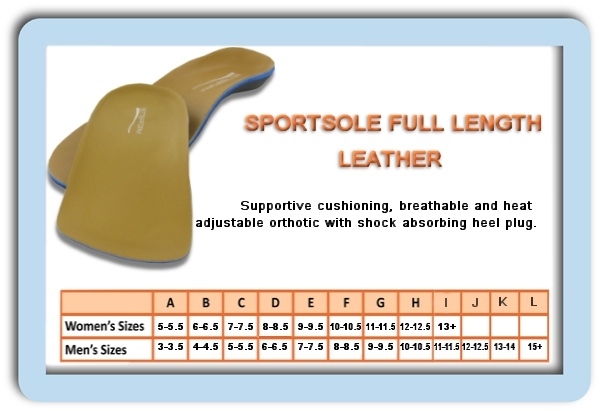 Features & Benefits of the Betterform Sportsole Heat Moldable Orthotics. Relieves Pain - cushions against impact - and supports the foot - both in motion and at rest. Applying heat at the bottom side in the arch area will allow you to either raise or lower the arch. You do this by bending it into the desired way (increase or decrease) then holding it there until it cools down a bit. You should only heat it up 30 seconds or so. Depends on how hot your heat gun gets. If it is to hot for you to touch it you heated to much. TIP: "I often after heating it and bending it I will place it under cold water or into a bowl while holding it. That helps it cool down and then retain its position." Sports orthotics and sandals I ordered three items...all of them came quickly...website was easy to use and I appreciate free shipping. The two orthotics gave me the first relief I have had from plantar fasciitis. The orthotic sandals are too new for me to say for sure, but I think they are going to be. Enter than anything I have tried. 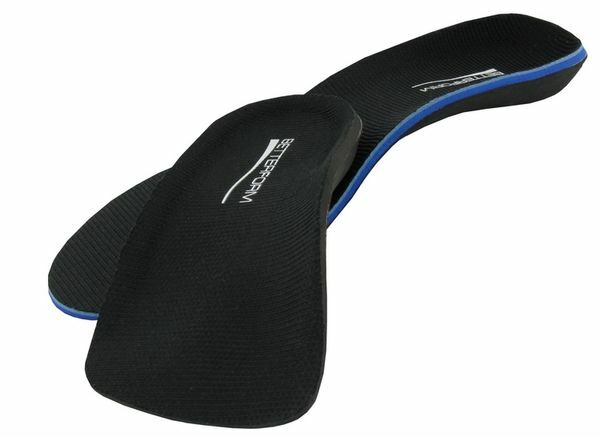 Excellent insole Got the wrong size but returns went good and they are excellent insoles. 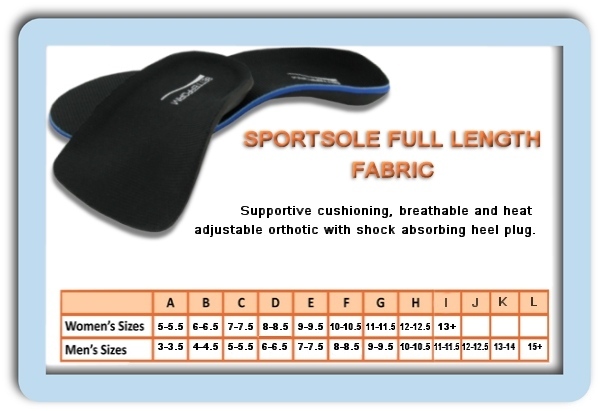 Excellent insole I prefer these insoles to Spenco orthotics. And the leather covering is much easier to clean. for my 11 year old son My son has flat feet, like myself. These are the best we have found so far- discovered them while looking for another brand.